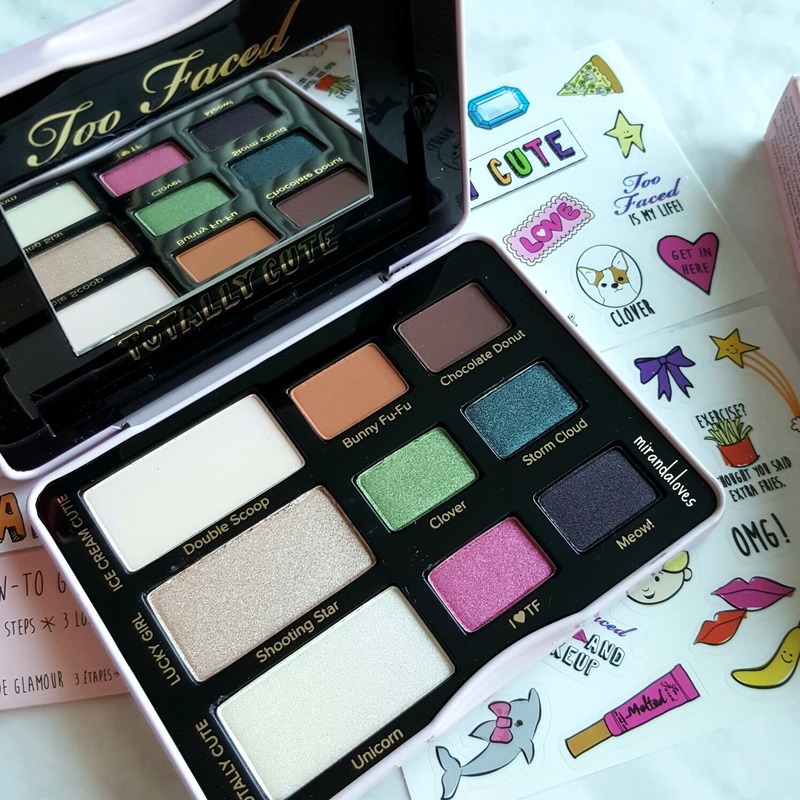 As some of you may know, I have had the amazing opportunity to collaborate with Too Faced Cosmetics - you can read my last post here ,which features the Too Faced Palette and a look I created with it. I usually gravitate towards the neutral eye-look, so when I received this Totally Cute Palette, I knew I had to try and break out of my comfort zone and create a look inspired by the palette. Well, I created a look inspired by the stickers of the palette ;) and you shall see below what I mean. The palette comes with a plain pink lid and some stickers which allows you to customize and design your own cover. 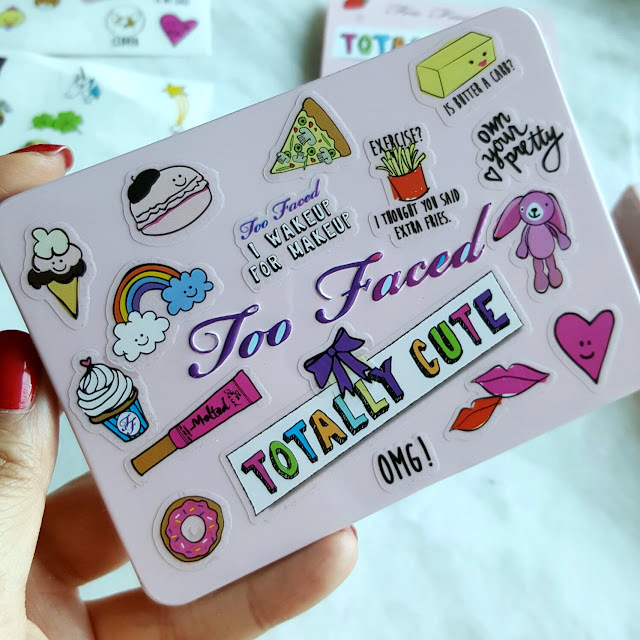 If you order it from the Too Faced website, you get an extra sheet of stickers (3 sheets total) that features limited edition stickers that are extremely cute. 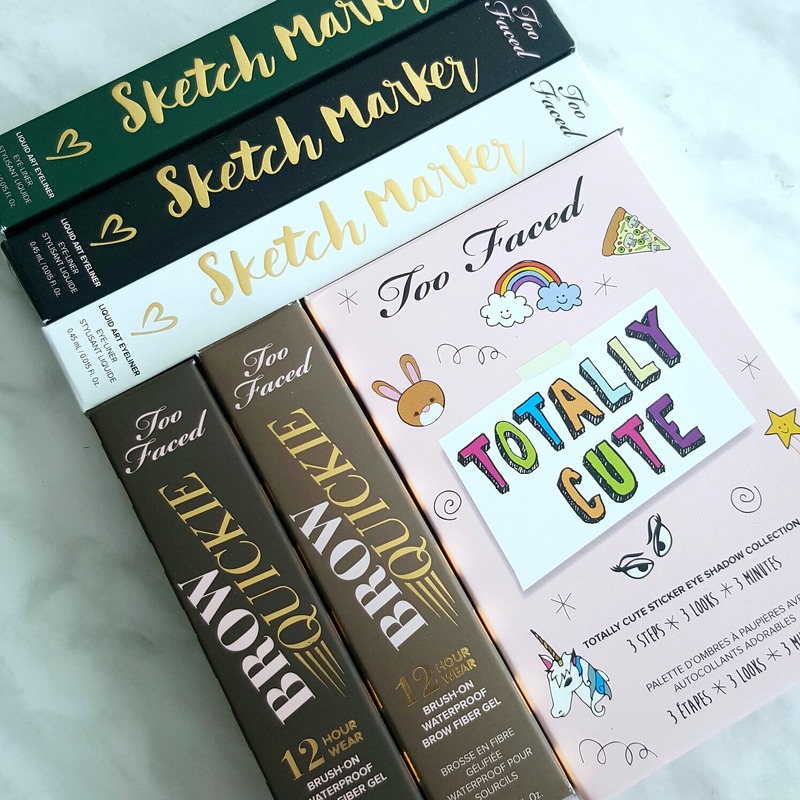 If you order it from Sephora, you get the two sheets that are featured above (and in this blog post). As you can see, all the colors are ultra pigmented. Storm Cloud is a duo chrome which is a brown, blue mix. The matte shades are ultra buttery and packs a punch in terms of color - see Double Scoop, Bunny Fu-Fu and Chocolate Donut. 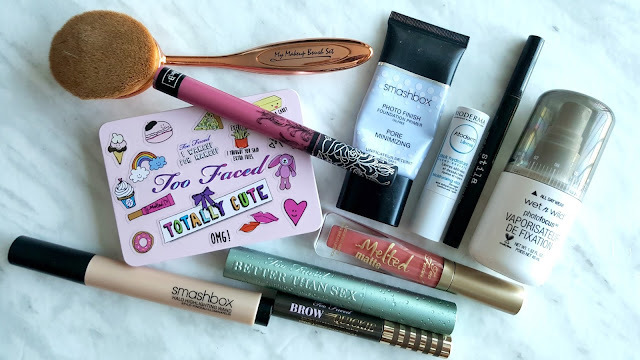 I have decided to create two looks this time - one neutral, for what I'm usually comfortable with, and one inspired by all the cute food stickers that came with the palette. 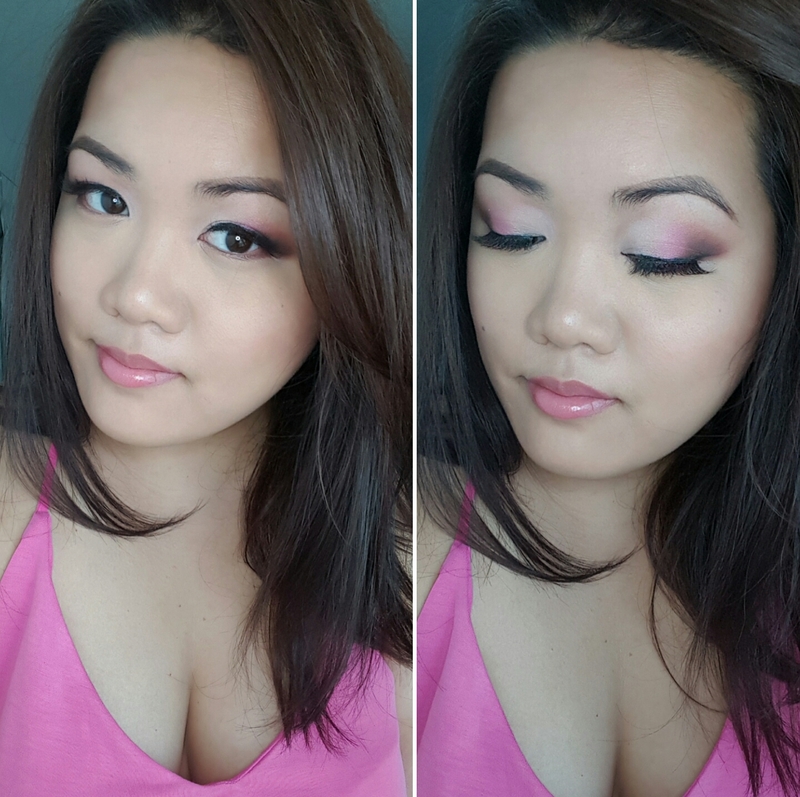 I call this look Neopolitan Ice Cream - haha! 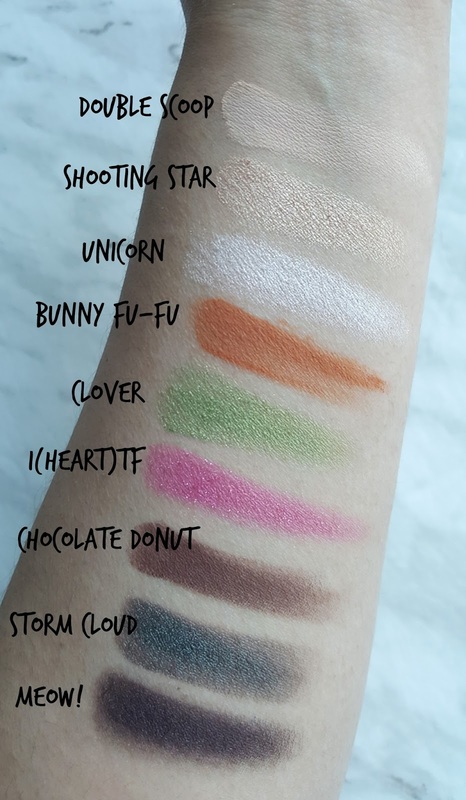 Shooting Star all over the lid, Bunny Fu-Fu on the crease and Chocolate Donut on the outer V.
Double Scoop on the inner portion of the lid, I(heart)TF on the middle of the lid and Chocolate Donut and Meow! on the outer third. Brow Hilight is Shooting Star. 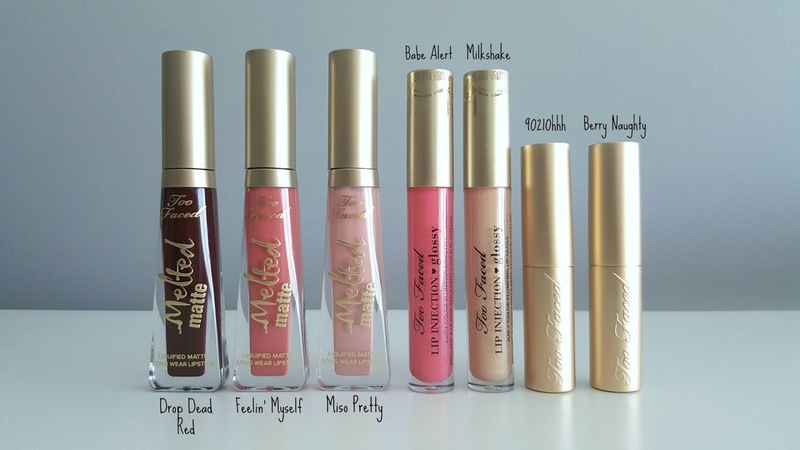 As you can see, the applicators for the Gloss and the Melted Matte is different. 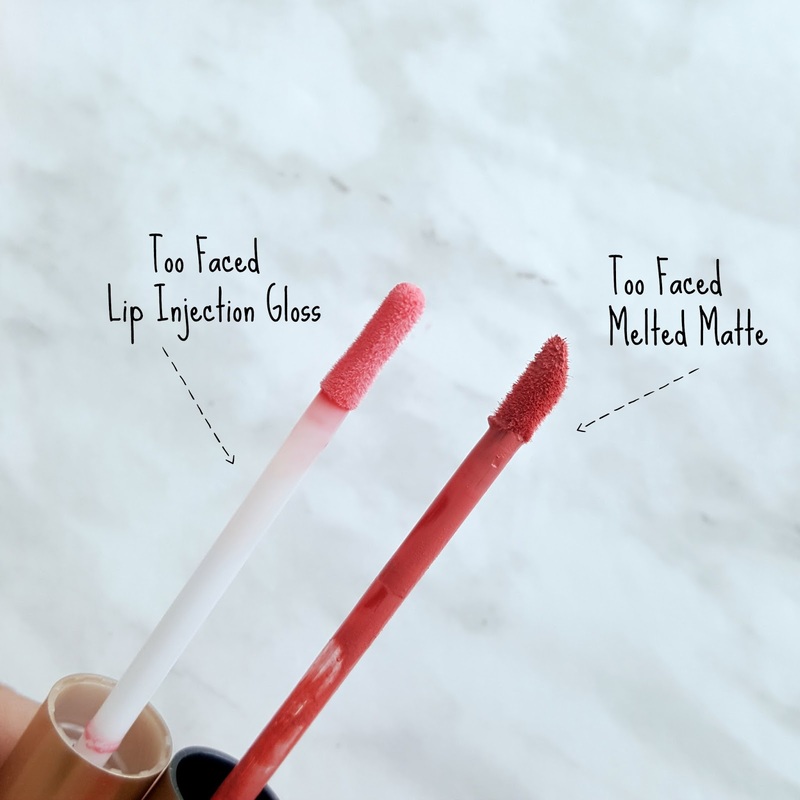 The Lip Injection is more of a two-sided flat applicator and the Melted Matte is a pointed doe-foot applicator that allows for more precision. 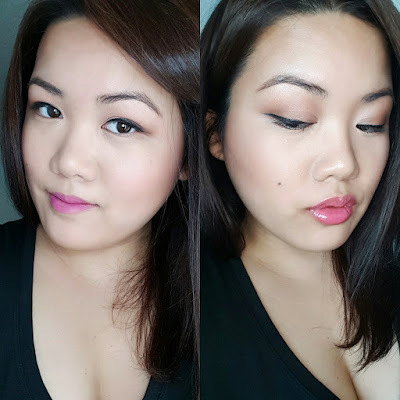 Too Faced La Creme Color Drenched Lip Cream in 90210hhh and Berry Naughty. 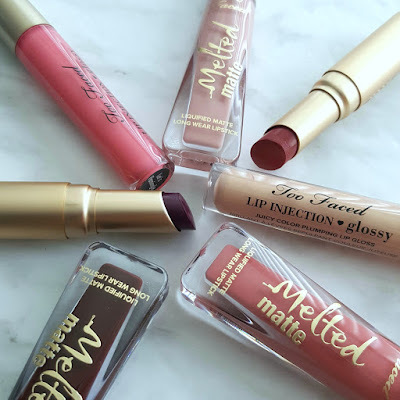 This formula is ultra buttery and almost has a glossy cream finish to your lips. 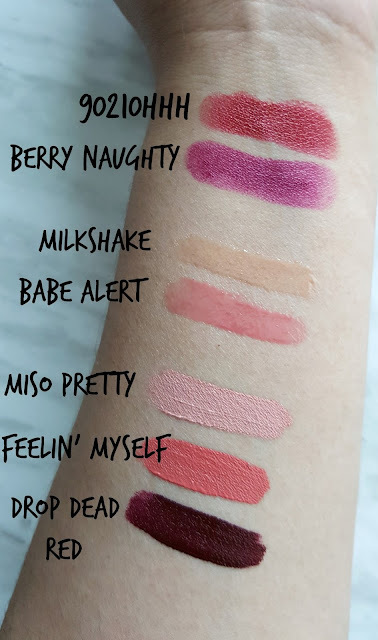 The finish allows your lip to look a bit more fuller and the pigmentation on the lipstick is to die for (check swatch below) . I do not find any feathering or bleeding of this lipstick as well, even though the formula seems to have a slip to it. After it fades, there's a subtle tint to your lip as well. Too Faced Lip Injection Glossy in Milkshake & Babe Alert. While yes this does make my lips look plump - I have to say that I couldn't handle the tingling sensation for too long. As you can see below, left is my normal lip - and right is when I applied the gloss. My trick now in using this is when I am applying my makeup, I like to apply the gloss and let it work its magic for a few minutes. Afterwards, I wipe the gloss off when it's plumped my lips and done its job, and then I just apply my lipstick/gloss/stain/paint of choice and it's been working great. Finally, the Too Faced Melted Matte Liquefied Lipsticks in Miso Pretty, Feelin' Myself and Drop Dead Red. While I tried so hard to get Miso Pretty to work on me, I simply just looked ghastly and pale so I decided to save my readers the visual. I will pass this on to someone who is paler and will have use for it. However, Feelin' Myself is a beautiful coral for summer and helps to bring out my tan, as well Drop Dead Red is the first time I've really ventured into something so vampy - a deep berry red. I enjoyed this formula, it wasn't drying and had good staying power. It didn't patch off in chunks or flakes and it really worked well and the colors I got were not patchy and applied smoothly. Lastly are the new Sketch Markers - I received Black, Smokey Emerald and Pure White. 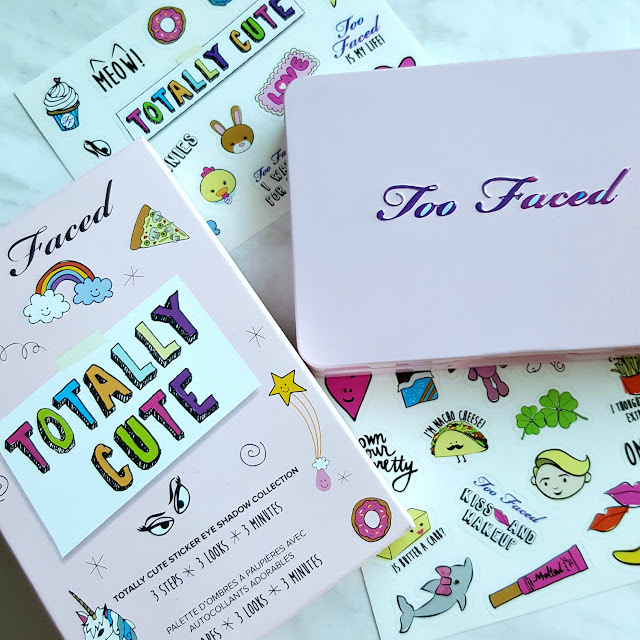 Can we also take a moment to recognize yet another cute packaging concept from Too Faced? They actually look like pens! 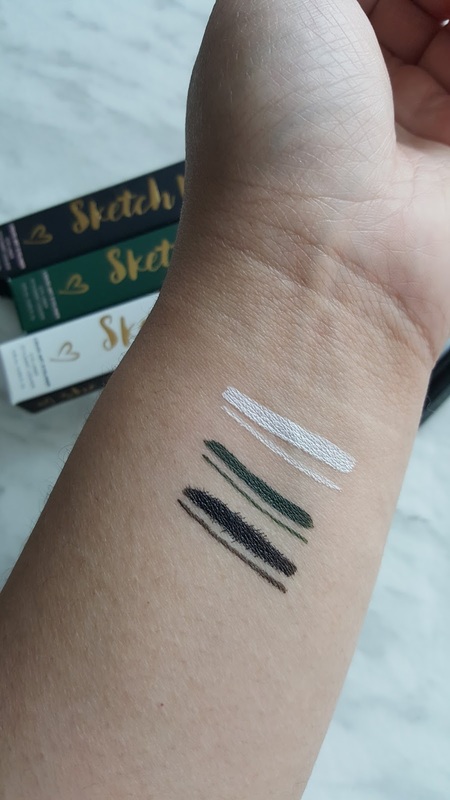 and the writing on each colored liquid liner is different too! 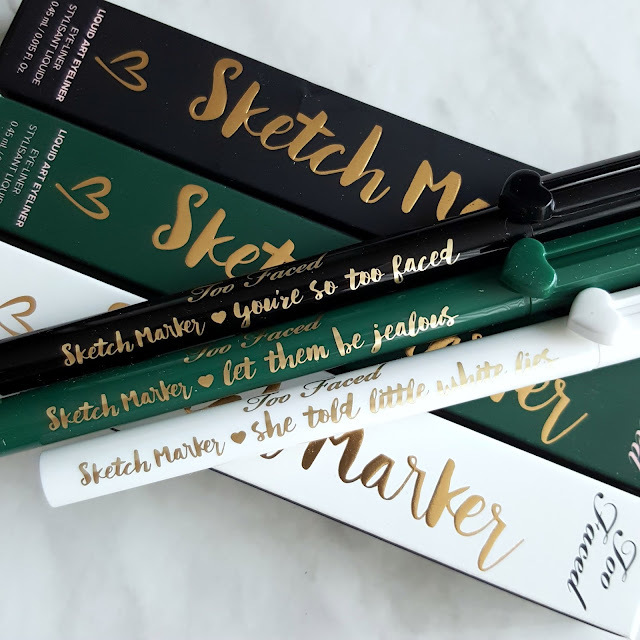 It is very interesting to note that the formulas for the colors are quite different - for example, for Smokey Emerald and Pure White, it is a dryer formula while still being pigmented. Black is more liquidy and wet and ended up, as you can see in the picture below, bleeding. 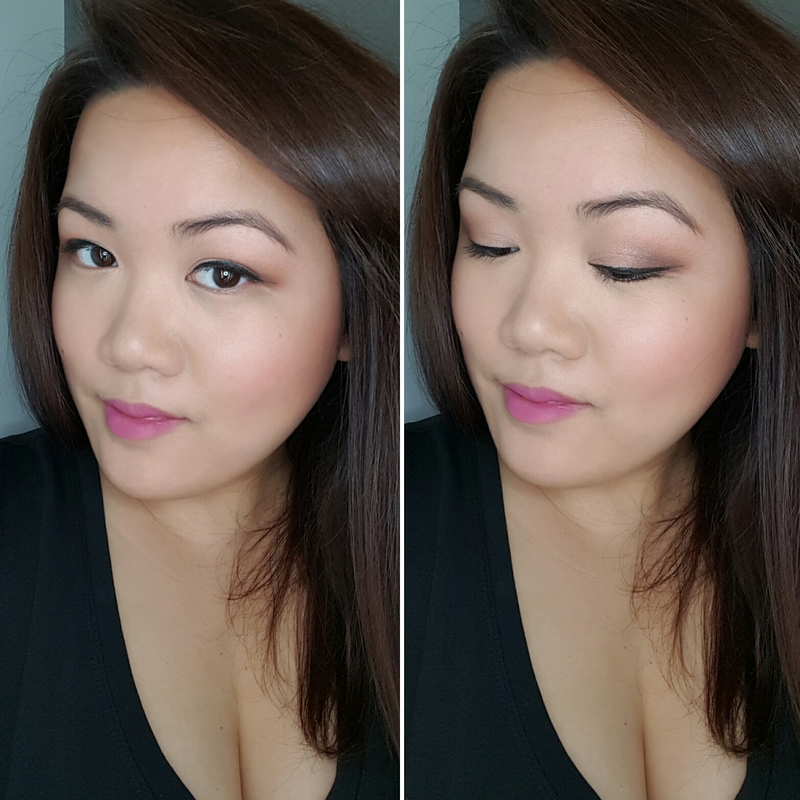 It was also evident when I was wearing it through the day that it smudged onto my lower lash line. As such, I am not quite a fan of the black liner formula. Have any of you tried out anything from the new Too Faced launches? If not, what are you most excited to try? I'd love to hear from you!